Freestyle slalom skaters perform tricks, edge stunts and dance-like maneuvers—either alone or as a team. This skating is done around cones set in a straight line spaced 1.64 feet (50 centimeters), 2.63 feet (80 centimeters) or 3.94 feet (120 centimeters) apart, depending on the event—a skate setup designed for a high level of precision and control. Most freestyle slalom skating is performed on freestyle slalom— sometimes called artistic—inline skates, but a few skaters still use quad roller skates. The skaters who wear inline skates use a rocker wheel configuration and a short frame (230 to 245 millimeter) to maximize the maneuverability of the inline skates. Slalom skates have a close fit and a firm cuff for ankle support. Popular skate models used to include the FSK skate range by Salomon (now unavailable), Seba skates (designed by a world-class slalom skater), and other well-known skate brands such as Powerslide, Roces and RollerBlade. Many inline figure skates can be used for slalom if the extended toe stop is replaced with a toe plug. Freestyle skating requires a strong rigid boot with comfortable foot support. A good slalom skate needs a short lightweight frame that is easy to maneuver. These skates must be quick and responsive which can be enhanced via rockering. Smooth precision and the correct wheels are very important. There were not many inline slalom skates with soft/hard boots a few years ago. Most had rigid boots to get the support needed for precise movements. Since Seba skate technology came into the market, you can expect to see many skates that combine firm, precise support and comfort. 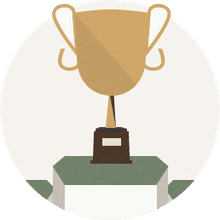 Today many boots are manufactured using composite carbon or glass fiber materials—instead of just plastic—to make them lightweight and supportive, too. These boots have a removable liner, like most inline skates. Length of frame: The first thing in slalom is to choose a short frame in order for your skate to be easy to handle. In slalom, you will find frames between 219 and 250 cm. The choice of the frame is made according to the build of the skater. Smaller skaters with little feet need a shorter frame, and tall skaters with bigger feet will need longer frames. The size of your foot is also important because the first axle needs to be beneath the toes and the fourth axle should be under the heel for the control required for freestyle slalom skating. Stiffness of frame: Choose a stiff frame made of aluminum. A soft frame will lack precision and will not respond quickly. Weight of frame: The aluminum will have the added benefit of being light in weight and easy to handle. Many think that freestyle slalom skaters always use the smallest wheels possible, but many look for the biggest wheels that the shorter frames can accommodate. Big wheels create smooth, easy moves, and that is one reason why the size or wheel diameter of your wheels matters. Small wheels lower the center of gravity for more stability but require more effort for speed. Bigger wheels are less stable but require less effort for speed. The wheels used for freestyle slalom are commonly between 83A and 85A durometer or hardness. Frames that are 245mm or 243mm use 80mm maximum diameter wheels. Frames that are 231mm must use wheels no bigger than 76mm in diameter. Frames that are 219mm require wheels no bigger than 72mm in diameter. The length of the frame and each skater's preferences will determine the wheel hardness and which wheel size or mix of wheel sizes should be used. There are two primary types of closure systems found on most slalom skates. Power straps using buckle closures, ratcheting closures or velcro are quick to put on and take off and help keep the ankle firmly in place. Lace closures work like regular shoe laces and offer unlimited adjustment variations for securing the foot. Most slalom skates combine these closure systems for a more precise fit. 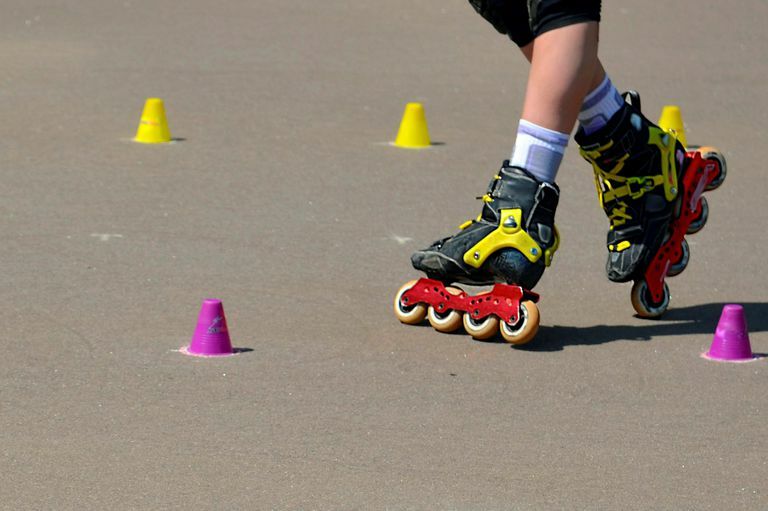 Many freestyle slalom skaters prefer rockered wheels that provide the ability to maneuver and performing the dance-like movements through cones that freestyle slalom skaters are known for in their programs. Many inline skate manufacturers are producing frames that are already rockered. These skates are designed with the first and fourth axles positioned a little higher than the middle ones. This allows wheels of the same diameter to get the full rocker effect. The same effect can be achieved by mixing wheel sizes. Install two bigger wheels in the middle of your frame and install one slightly smaller wheel on each end of your frame in order to maximize the maneuverability of the inline skates and create a back-to-front rocking effect to help with dance moves and tricks. Freestyle slalom skate models with cuffs improve support and stability. The front-to-back range of motion of the skate boot is not determined by whether it has a cuff or not. The ability to bend is determined by the boot design. The two types of cuffs usually installed on inline skates are plastic or carbon. Plastic cuffs can be found on many recreational inline skates. The plastic used on these skate cuffs provides adequate stability for social and fitness activities. Carbon cuffs are far superior since they provide more support and response. In addition to premium freestyle slalom skates, you can find carbon cuffs on marathon and inline racing skate setups. Heel brakes are seldom installed on most slalom skates. Freestyle slalom tricks do not work very well with a heel brake in the way of performance. A heel brake will block the ability to do heel balancing moves, bump cones, trip the skater or cause unwanted stops. Slalom is not done on an incline, so safety on hills does not apply. Slalom skaters are experts at changing direction to avoid things in their path, so they rarely need to stop—and when they do, there are plenty of alternative stopping methods like t-stops and snow plows that are easy for a skater with slalom skating skills. Beginner and novice skaters should not train with skates that do not have a built-in braking system. Today, the most popular slalom skates on the market are manufactured by Seba Skates and endorsed by Naomi Grigg. But, there is a lot of good equipment to choose from, from many top skate brands. Slalom skates have evolved from the stiff plastic skates of the 80s. Today's skates provide more support, comfort and customization opportunities than ever before. But, simple freestyle can be learned in almost any skate—quad, recreational, hockey or even aggressive skates. Using the correct type of skates just makes freestyle slalom much easier.